In spite of what you may think, social media is not something that has been recently introduced. Far longer than we have been on the web, social networking has been everywhere. Whether you’re trying to keep up with the latest web memes on Tumblr or Reddit, or you’re following your favourite actors on Twitter or professionally staying in touch with your clients on LinkedIn, social media has become a constant part of everybody’s daily lives. For the digital natives, it might also be tough to imagine a world without social media at our fingertips but the fact is that there are several new users who join these services every single day. If you too are new to the social media, here’s a useful guide for you. Tumblr: This is a micro-blogging platform that brings together brands, tastemakers and bloggers. If you want to create and design your own content or curate and share things on the web into which you dig the most, Tumblr is the most user-friendly platform leveraging which you can beautifully get started. LinkedIn: This might not be the most attractive social networking website out there, but you will be surprised to know that LinkedIn now has 161 million members spread over around 200 countries, making it the largest professional network in the world. You can tackle everything that you can do, like handling your jobs, getting new calls from new profiles, creating a professional profile and finding other professional organizations to directly apply to their site, through LinkedIn. Reddit: Reddit is the most popular message board on web. If you’re new to the website, you may feel overwhelmed by the network of text links, points and upvotes and comment threads but if you can stick to it, you can know the factors that distinguishes Reddit with other social networking websites. You can also learn how to submit a story, upvote and downvote the user submissions and more. Once you’re able to post a couple of stories, you can check out what the other Redditors could do in your social network. Facebook: This is one of the largest social networks in the world. Facebook is proud of having 900 million users worldwide but even though you’re already a member on Facebook, there must be some more aspects of the service that are still worth reviewing. Facebook can always be used for business and social networking and you can also stay in touch with your friends, join communities and share wall posts with your friends. Twitter: You can also share news updates, one-liner 140 characters messages and other links through this social media platform. You can communicate with people and also follow them around the world. You can gain enough knowledge on tweeting and create a profile to re-tweet messages and direct messages. 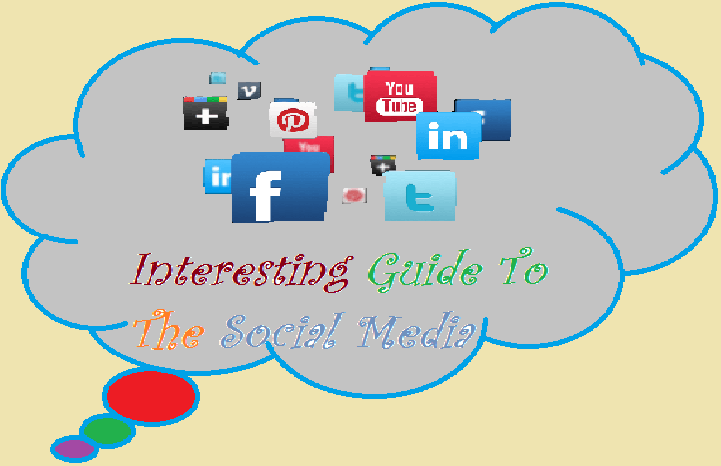 Therefore, when you’re wondering about the ways in which you can join the social media and be a part of this phenomenon of staying in touch with others, you may take into account the above mentioned guide, especially if you’re a beginner.